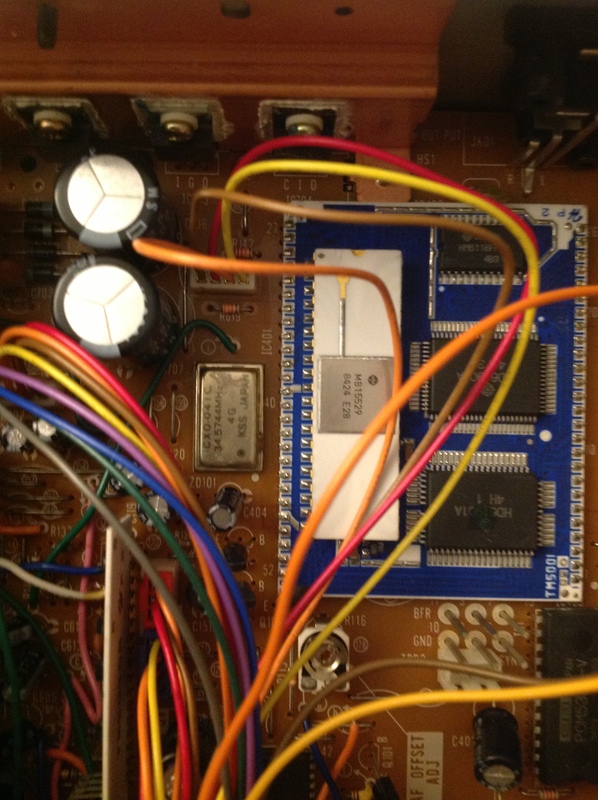 You have have noticed the zoomed-in image of the Realistic TV-100 Stereo TV Receiver acting as my blog “mascot” in the header. 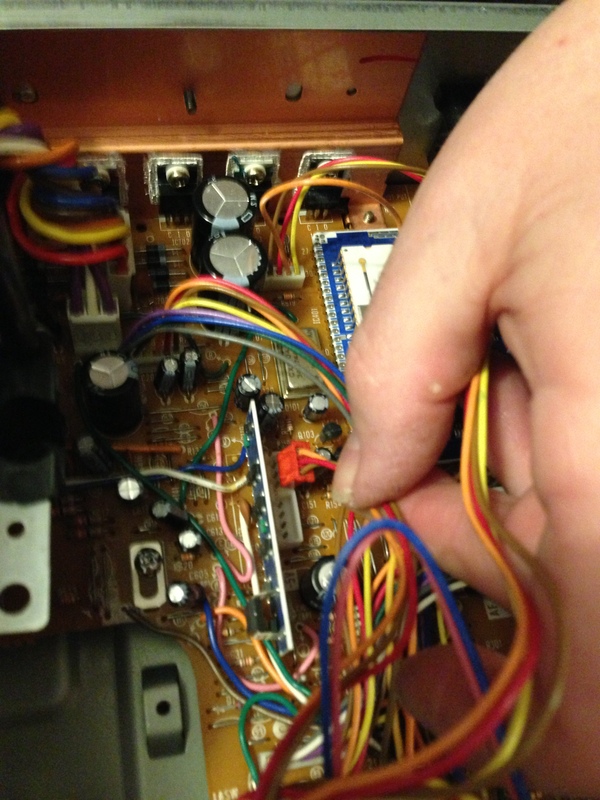 I chose the Realistic TV-100 to represent this blog for a number of reasons. 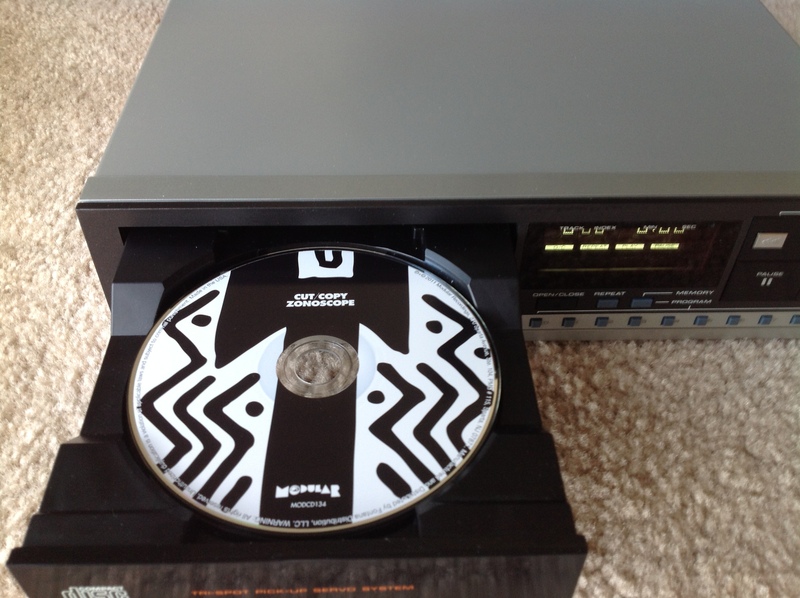 It’s a fantastic looking piece of mid-1980s audio equipment. 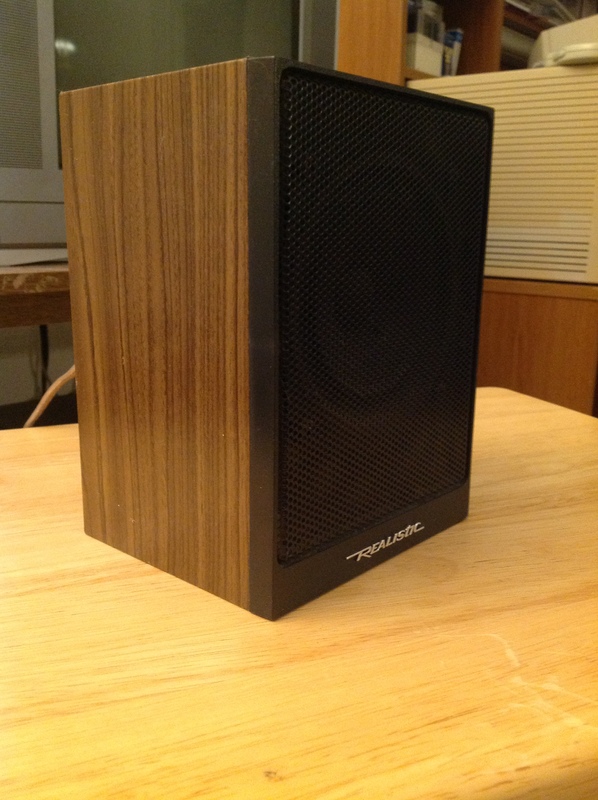 It’s also a classic representative of Radio Shack’s Realistic brand. I have fond memories of visiting the Radio Shack at State Road Shopping Center as a kid back when Radio Shack was still an important electronics store. Basically everything about Radio Shack from the 1980s and 1990s like their house brands Realistic, Archer, Optimus and for some reason those distinctive shiny green Extra Life batteries is a childhood nostalgia trip for me. 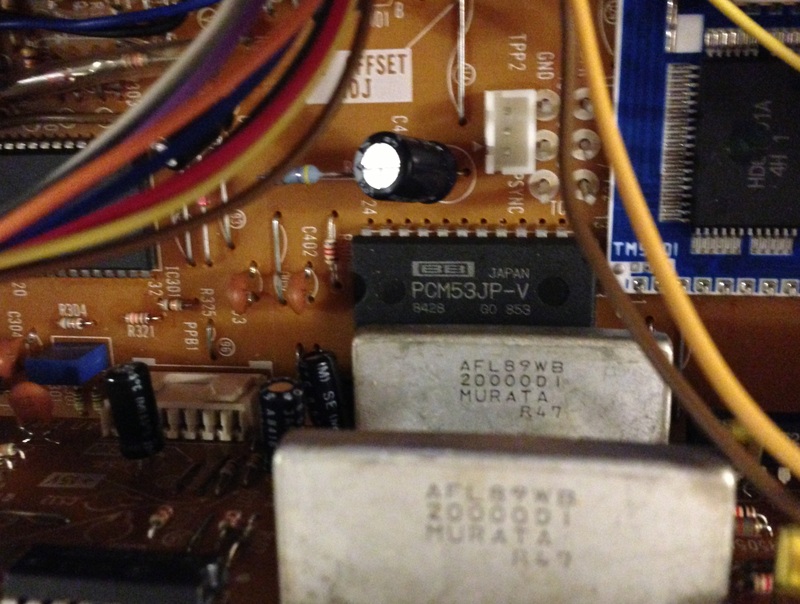 The TV-100 represents a lost era, which you’ll find is a common theme on this blog. Therefore it’s time to give this lovely looking but slightly odd bird it’s day in the sun. The idea was that you plugged your TV antenna into the antenna inputs on the TV-100 and then attached cables from the VHF and UHF outputs on the TV-100 to the antenna inputs on your TV. I believe at that point the TV-100 became your TV tuner. 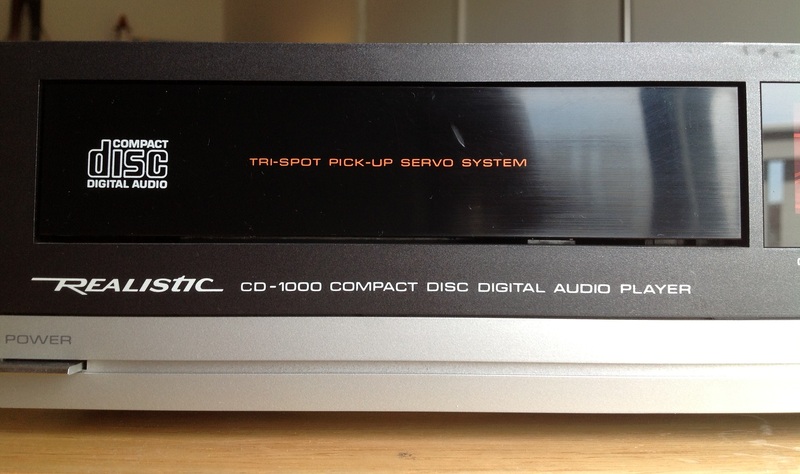 You could then attach speakers directly to the TV-100 because it has an integrated amplifier or you could attach it to your stereo with the Tape Out. 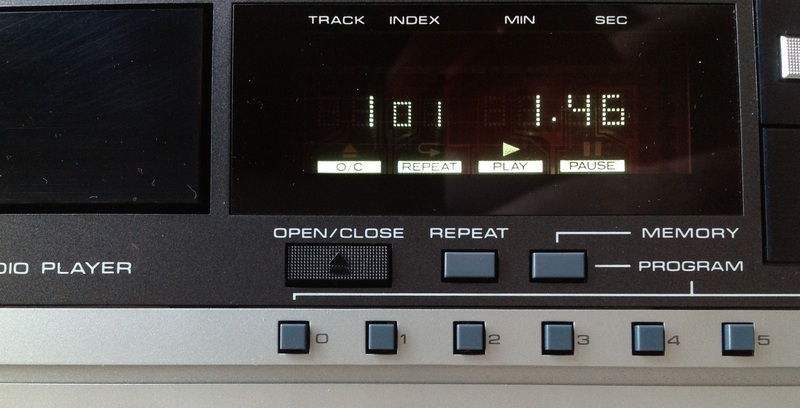 The brilliant part of the TV-100 is that it also has an Aux input, which means that you can use it on it’s own as a small amplifier. Today, following the analog TV end times the MTS decoding functions are useless but sometimes you just need a small amplifier. 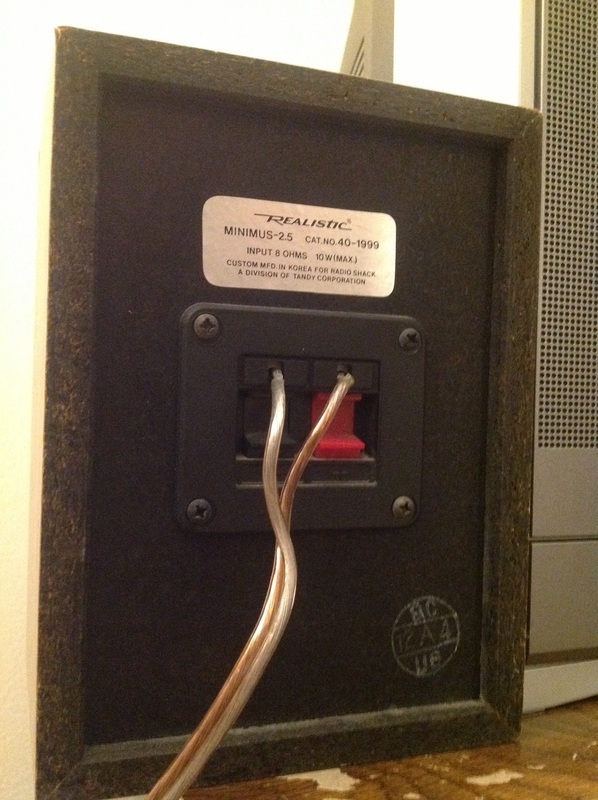 The TV-100 was often sold with two magnetically shielded Minimus-2.5 speakers as seen in the Popular Mechanics ad, and together they are perfect for these situations. At some point, I believe it may have been in the late 1980s, my grandfather gave my father a TV-100 and the two Minimus-2.5 speakers. My father also purchased another TV-100 at a thrift store. When I was a teenager I couldn’t have a TV in my room but I did have one of the TV-100s so I listened to over-the-air TV. I have fond memories of listening to ER and SNL, trying to imagine the pictures in my head. Somewhere along the way we got rid of the two TV-100s but my father kept the speakers. Recently I saw this TV-100 at the Goodwill on State Road in Cuyahoga Falls and had to have it. I reunited it with the two speakers and now I have the complete set once again. It’s not the greatest sounding amplifier in the world and it’s not particularly loud but when you just want to improve the sound of a small TV it does fine. 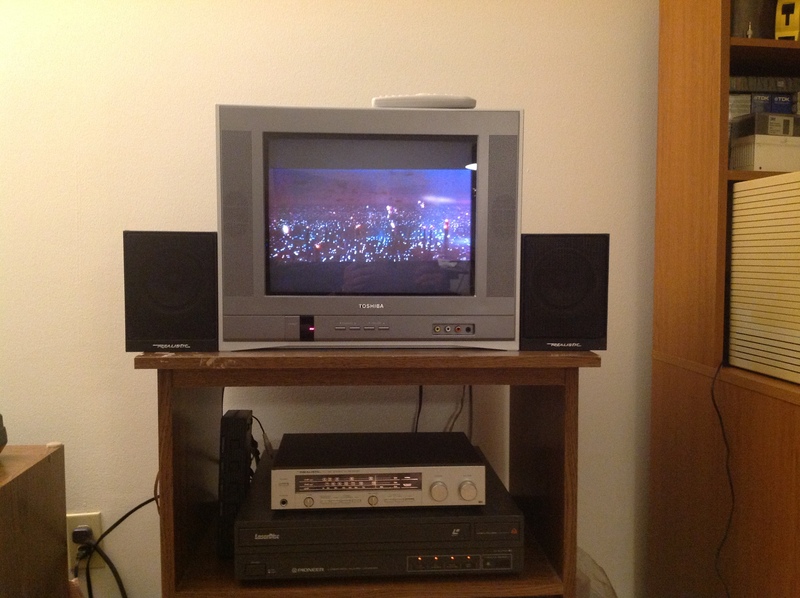 Today my TV-100 sits in my classic gaming nook on top of my Laserdisc player and below a circa-2005 Toshiba CRT TV with the Minimus-2.5 speakers. Aside from it’s utility I appreciate the way the TV-100 looks. 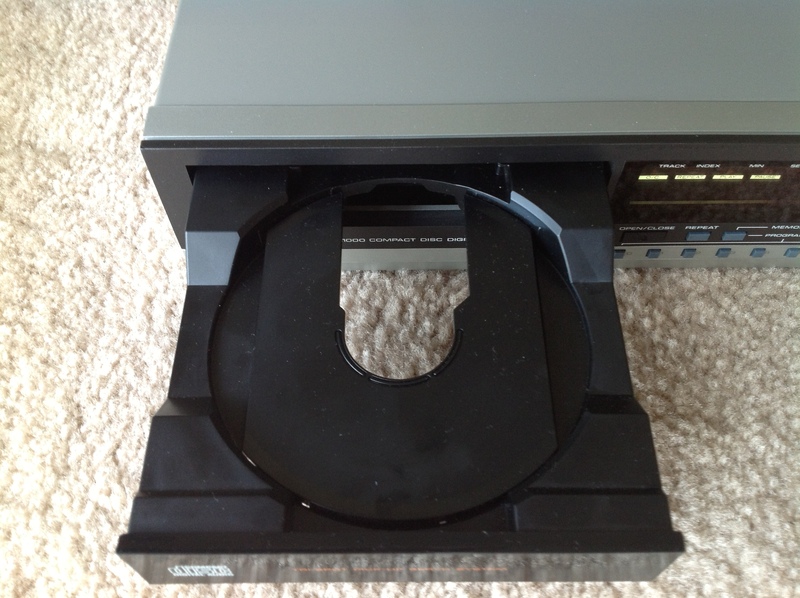 It represents the best of a transition period that was happening to stereos in the 1980s. 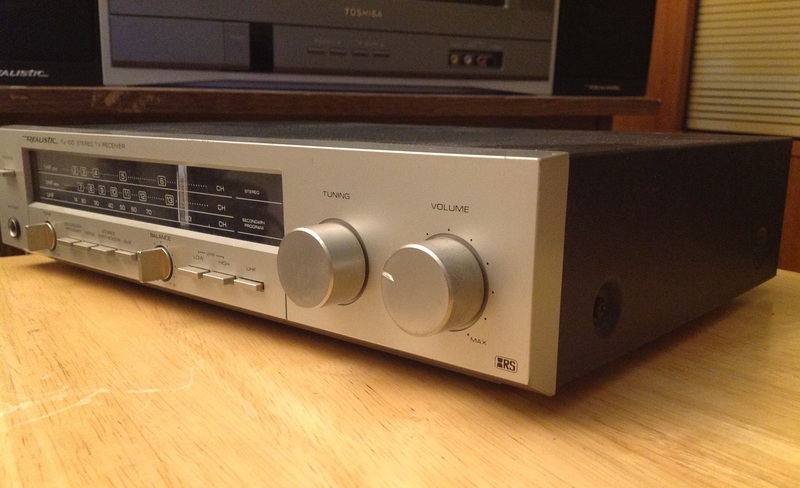 Stereos of the 1970s often had a silver face and a large, lit radio tuning dial like the TV-100 but unlike it often had wood paneled sides and larger switches. It seems like they were all trying to look like ham radio transceivers. 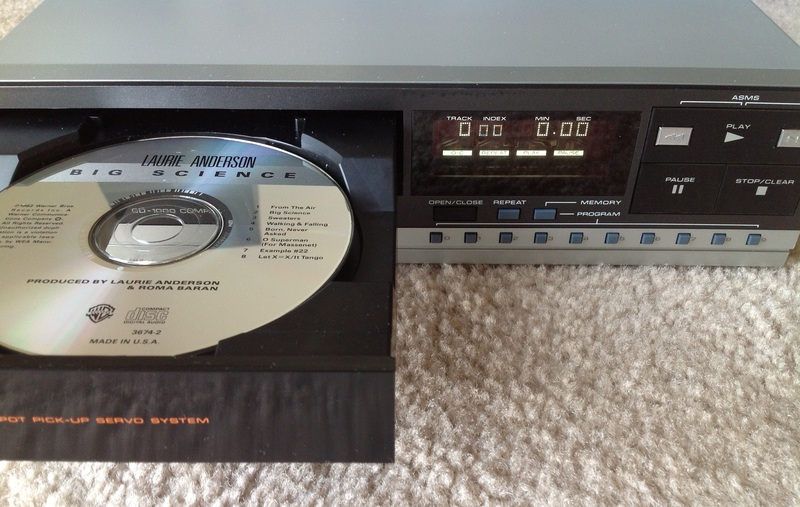 About the time the TV-100 debuted in 1985 receivers started to become computer controlled and began eliminating the tuning dials and switches in favor of digital displays and more flat, computer-like buttons. My mother’s Akai AA-R22 is a good example of this styling. My parents’ old nursery room has great wallpaper. By the late 1980s, of course, receivers started going all black which for the most part, they remain until this day. 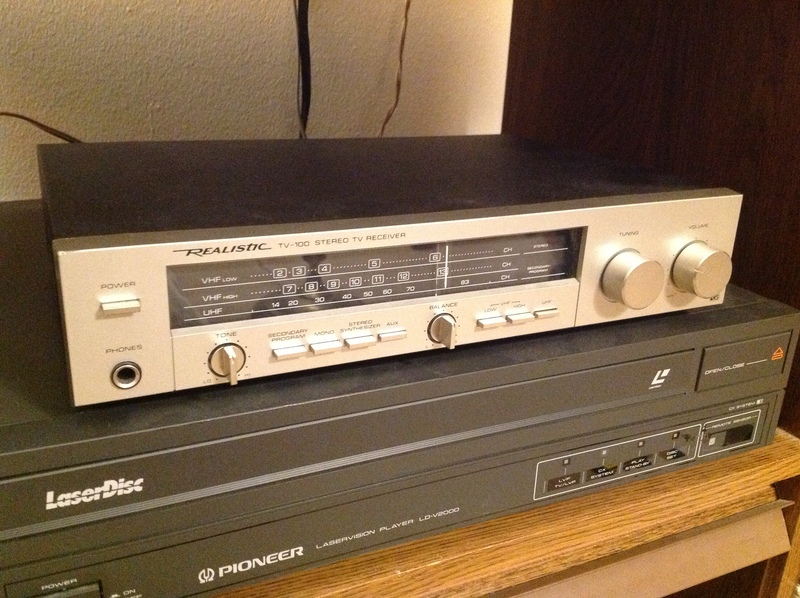 Generally, the more a piece of stereo equipment looks like a DeLorean DMC-12 (silver, angular), the better with me. Chunky black monoliths are boring. 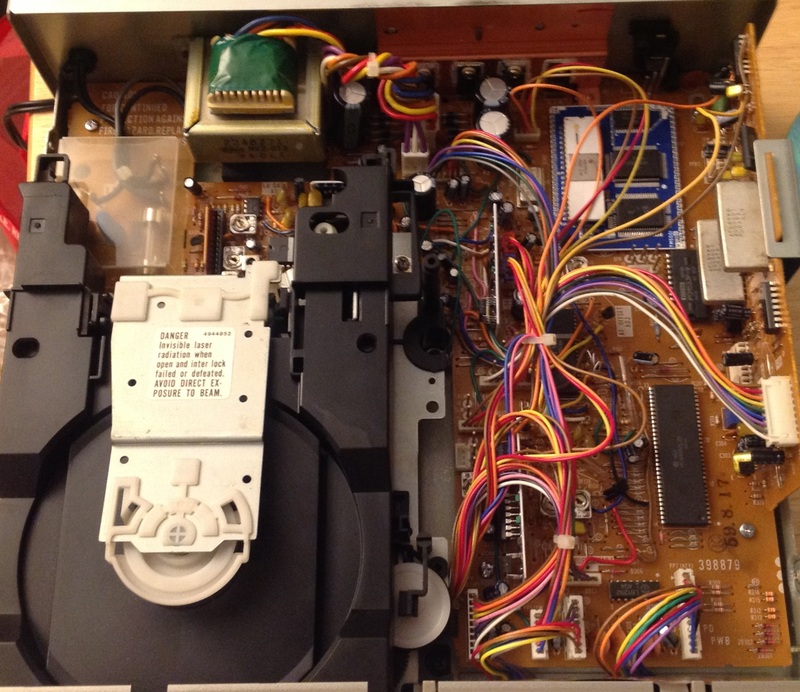 So, for the TV-100 to be silver and fully analog (in it’s operation and appearance) makes it an interesting mid-80s transition piece. There’s also something majestic about the well-proportioned analog-ness of the TV-100. The size of the tuning dial in comparison with the turning and volume knobs and the rest of the unit is pleasing to the eye. Somehow this diminutive, somewhat esoteric add-on unit found deep within the Radio Shack catalog (1985, page 104) turned out to be a work of art.